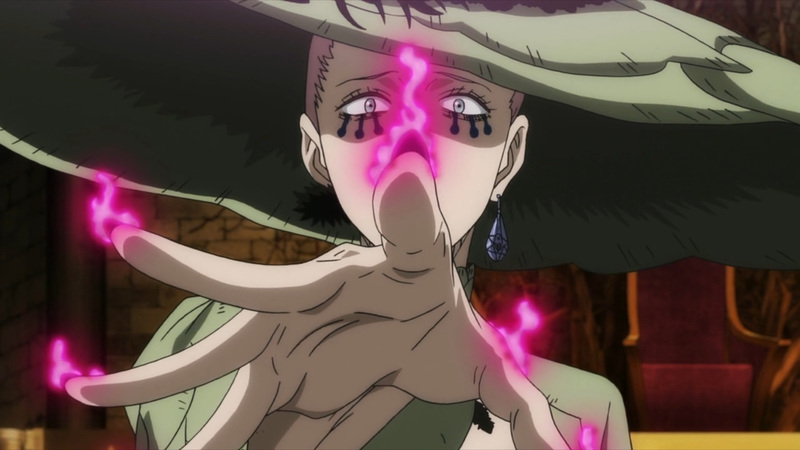 Fana’s magic was merely just a feast. 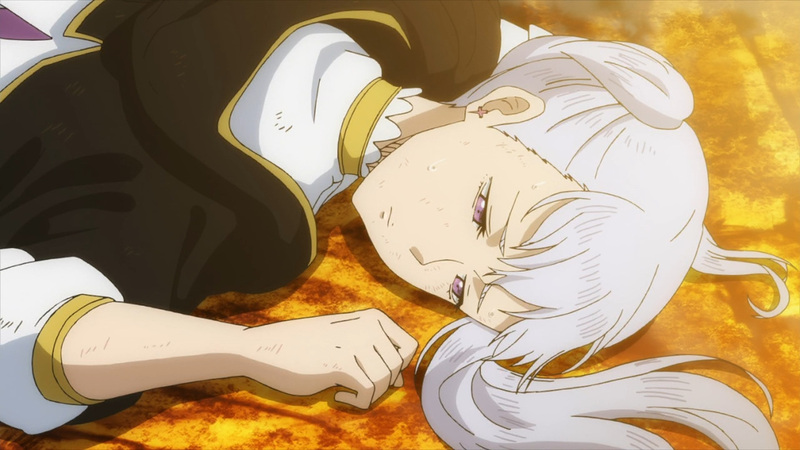 Ladros has digested it all, and is ready for round 2. 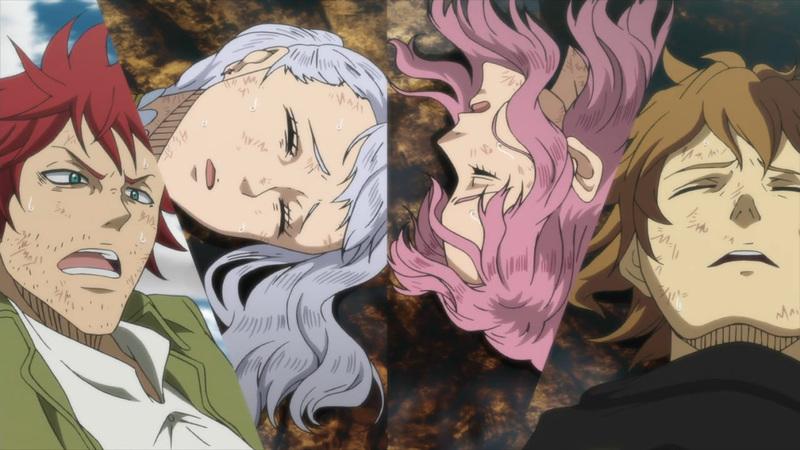 Unfortunately, our heroes are still fatigued from dealing with Fana. 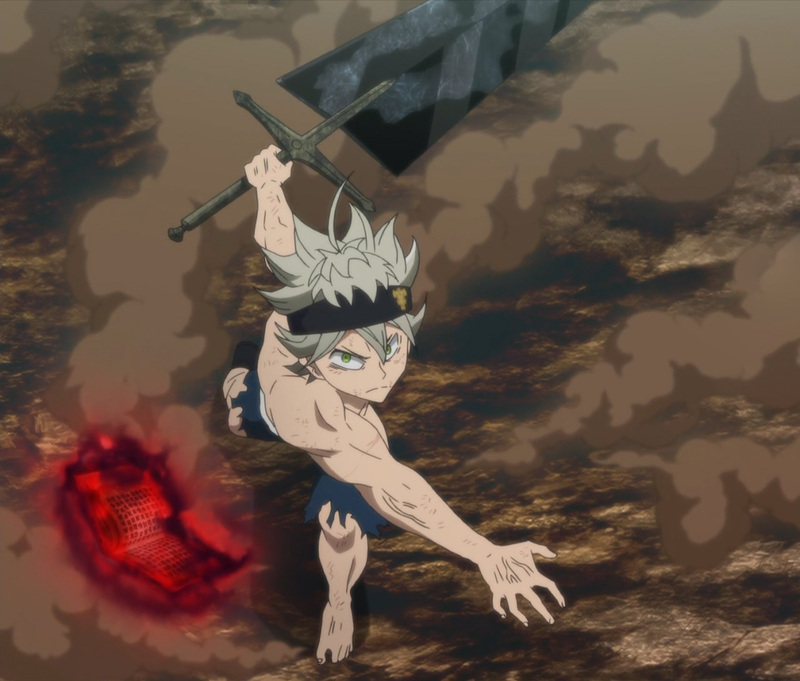 Only Asta can stand before an empowered Ladros. 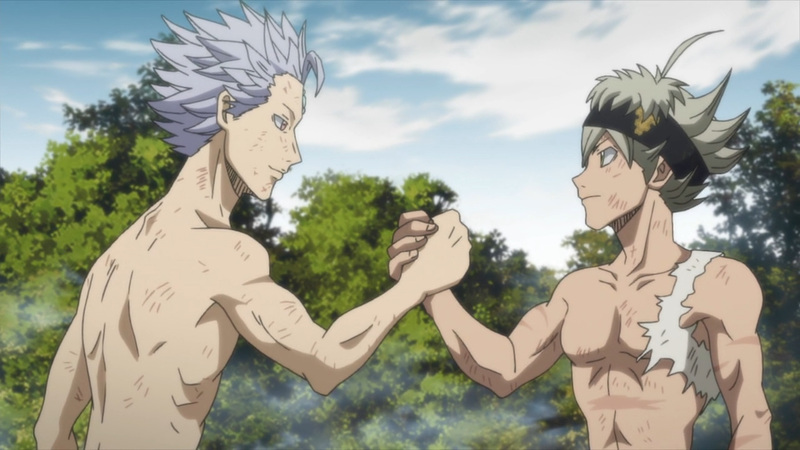 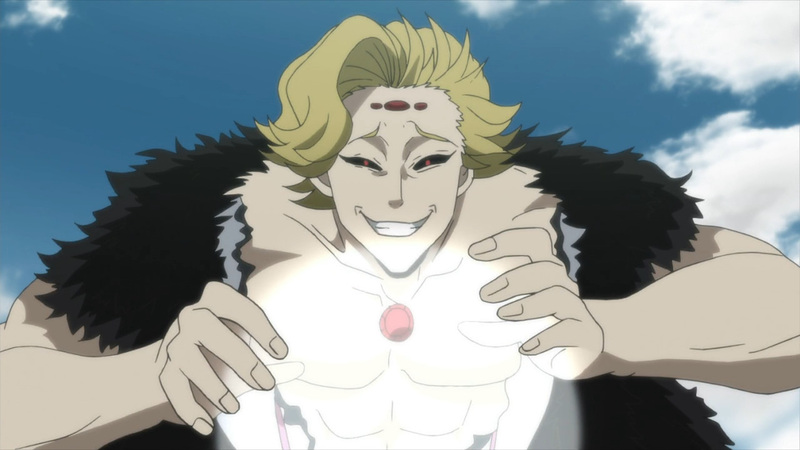 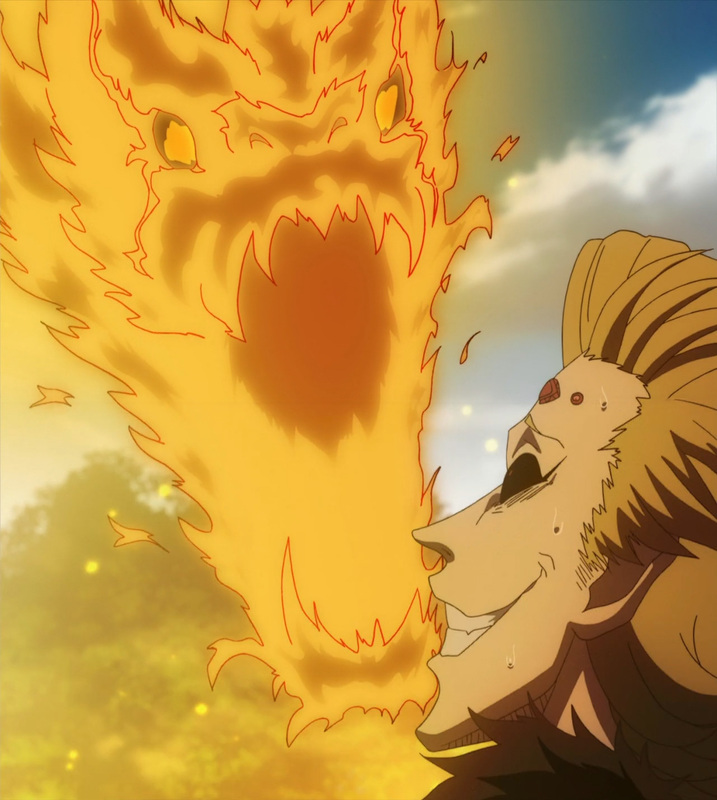 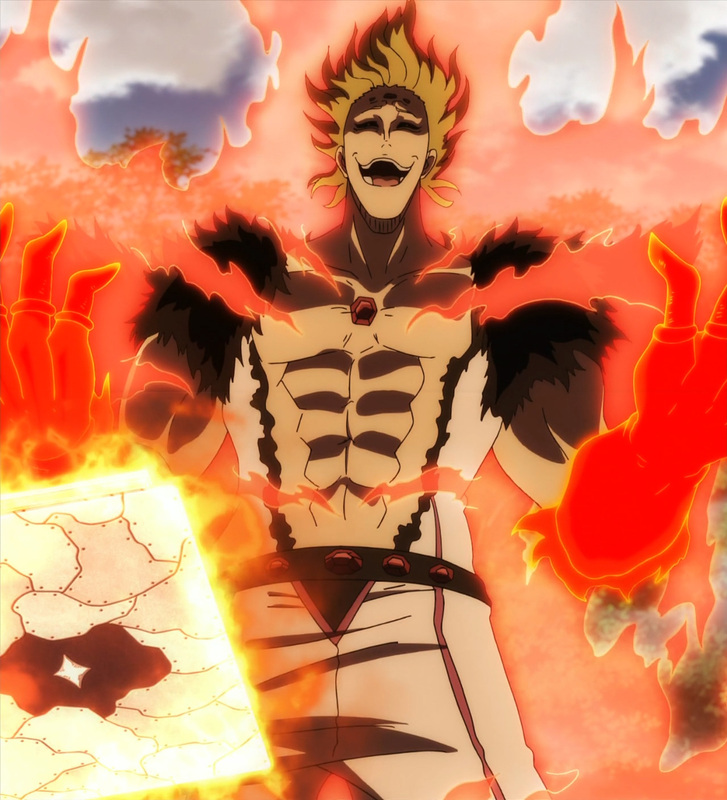 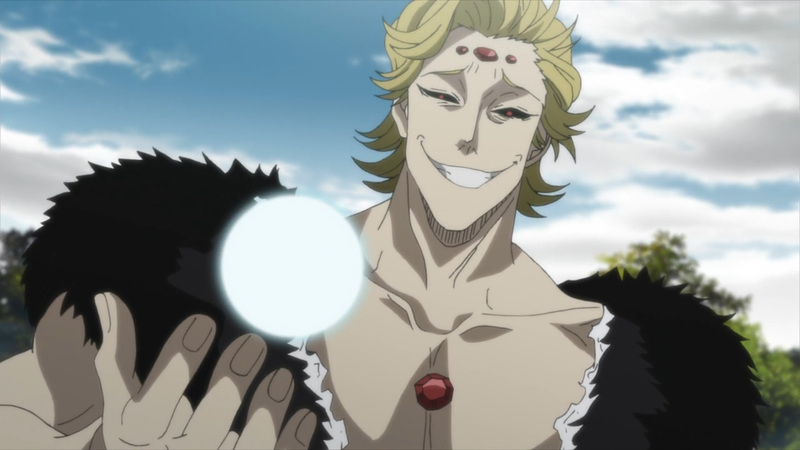 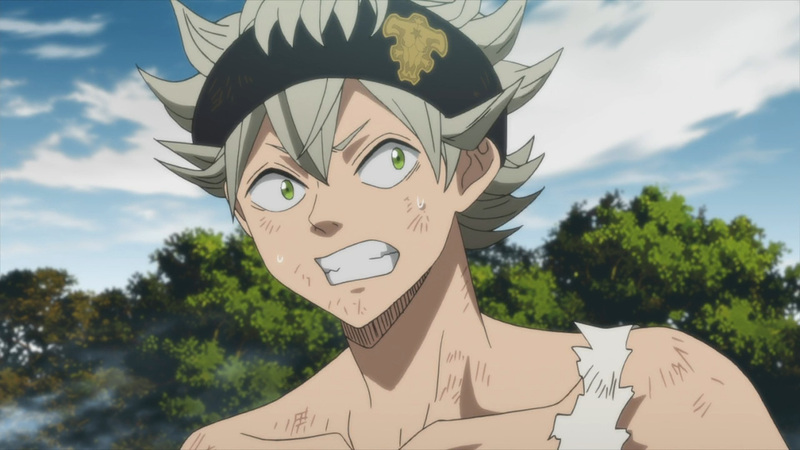 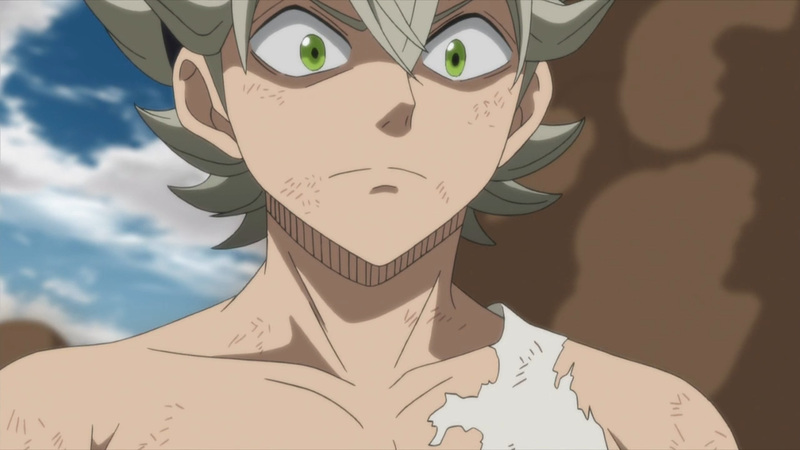 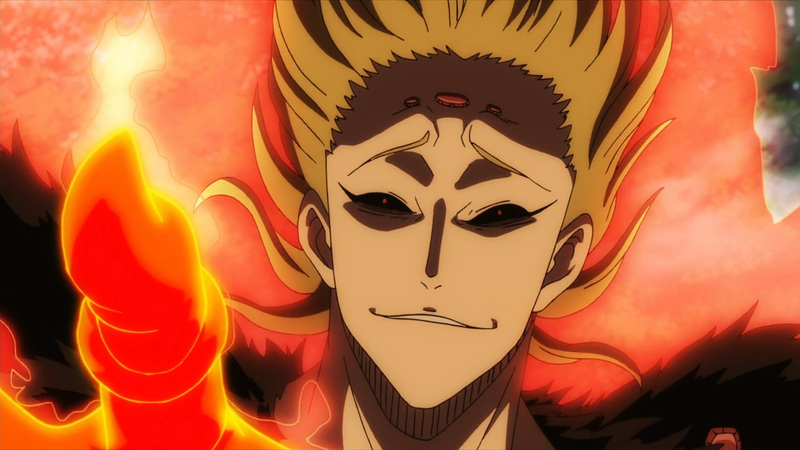 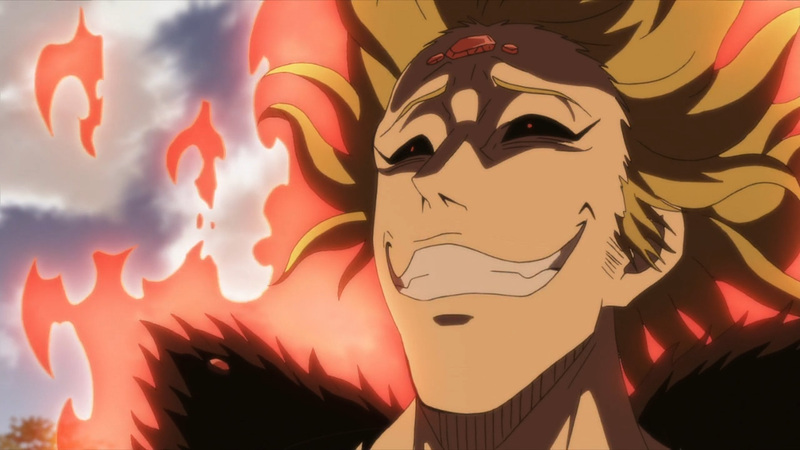 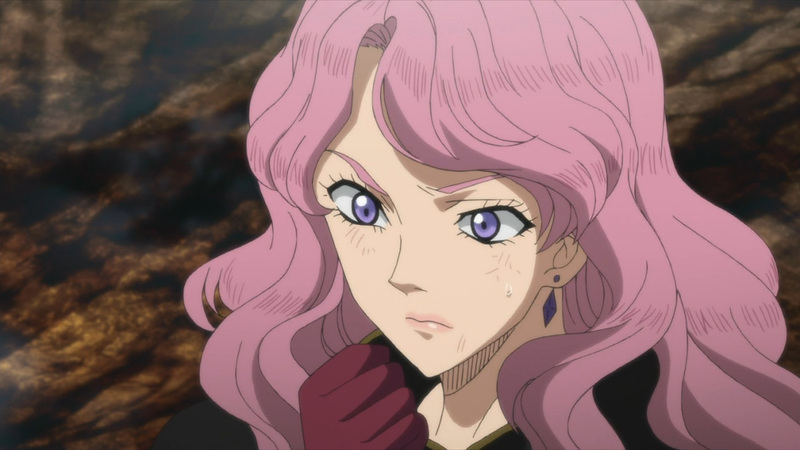 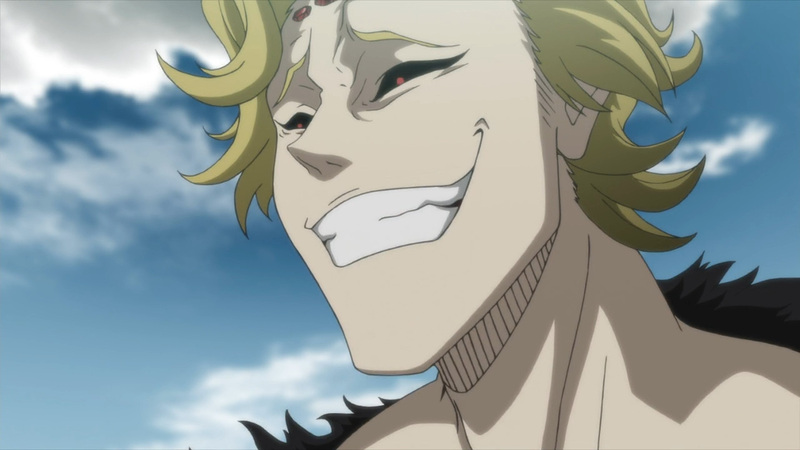 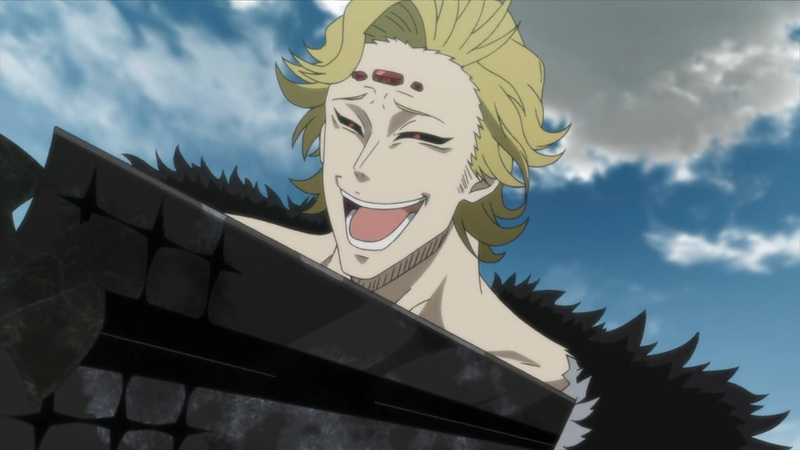 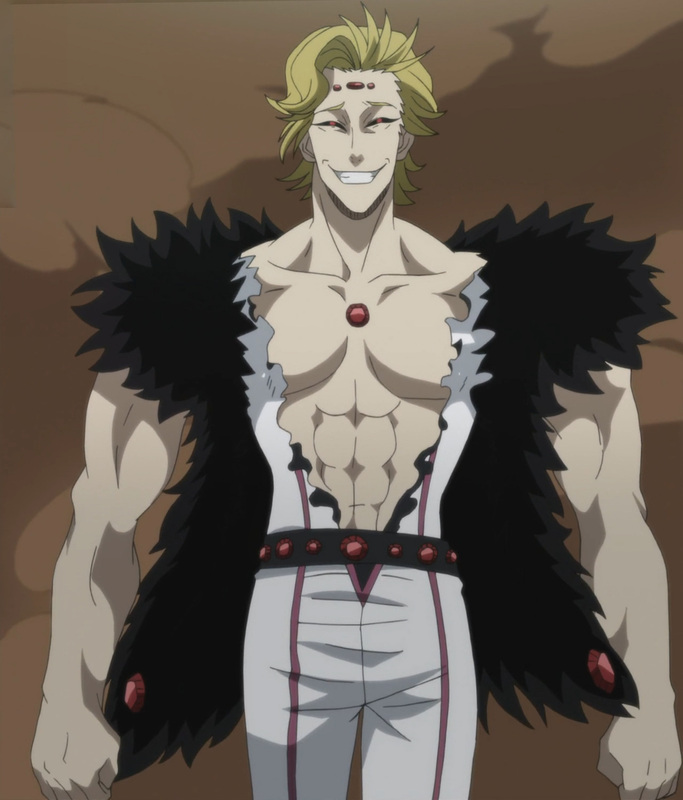 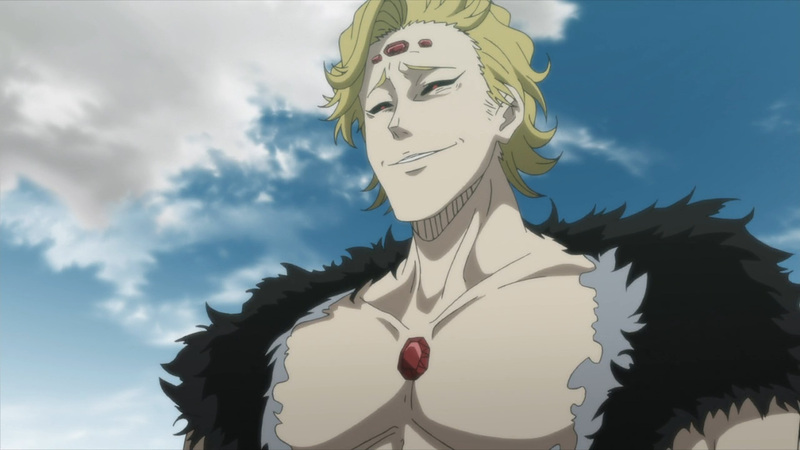 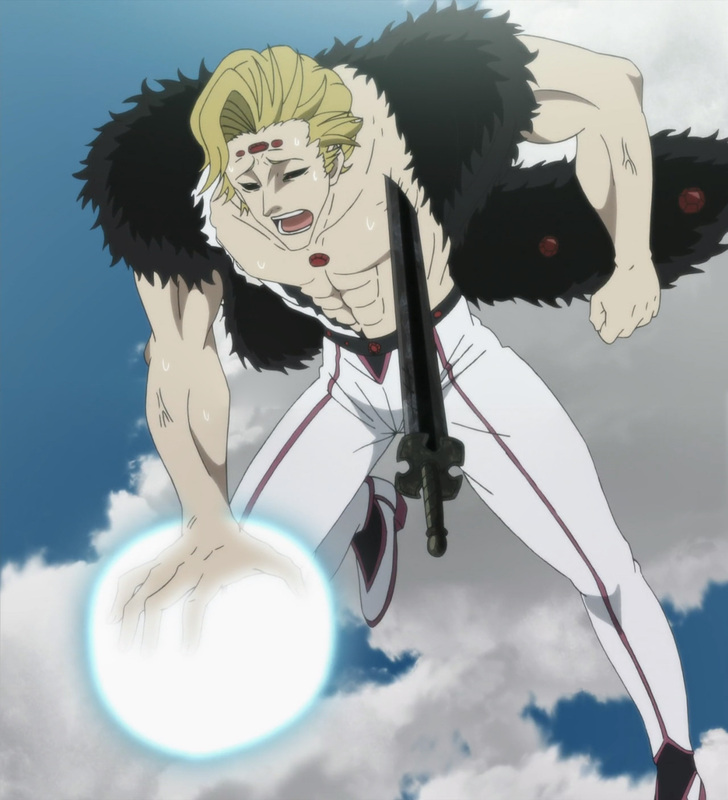 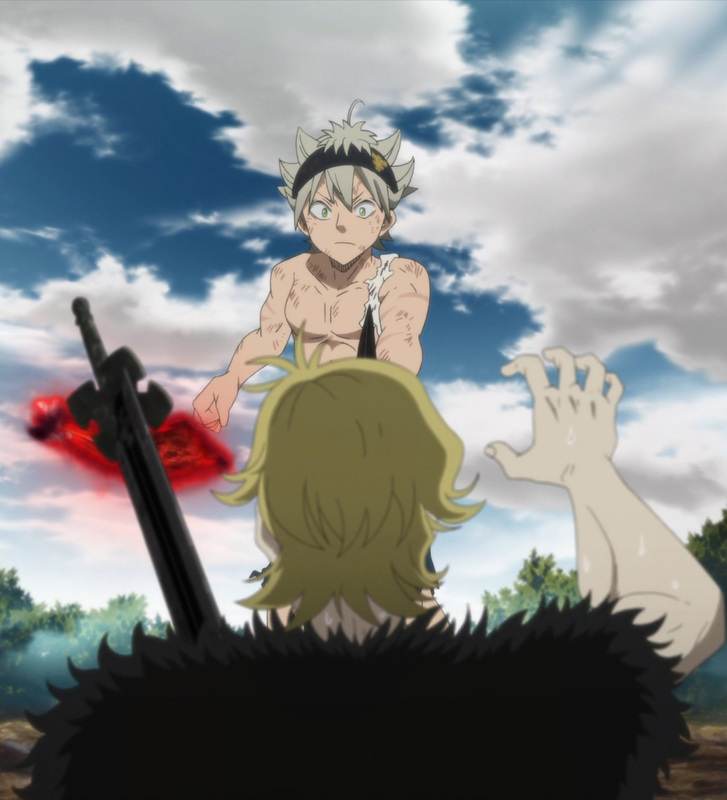 Regardless, Asta only needs one solid blow to take down this power freak. 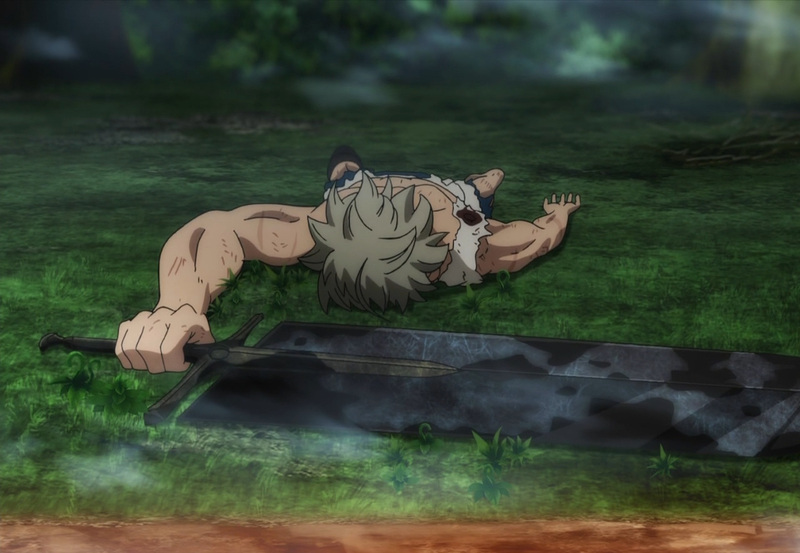 Betting it all on one lucky throw had Ladros down for the count, though he’ll rise again. 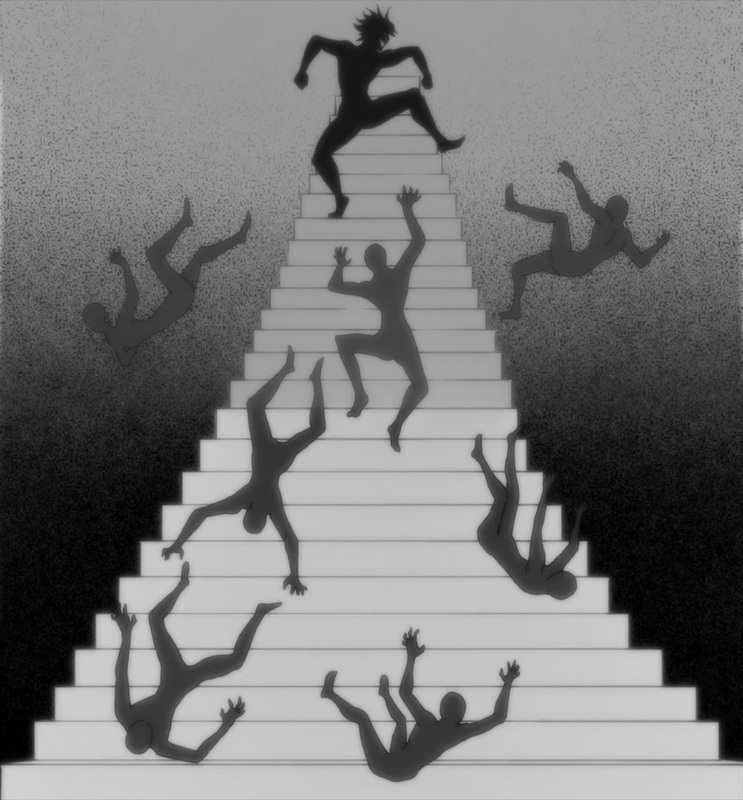 No matter what he has to say or do, he will rise to the top. 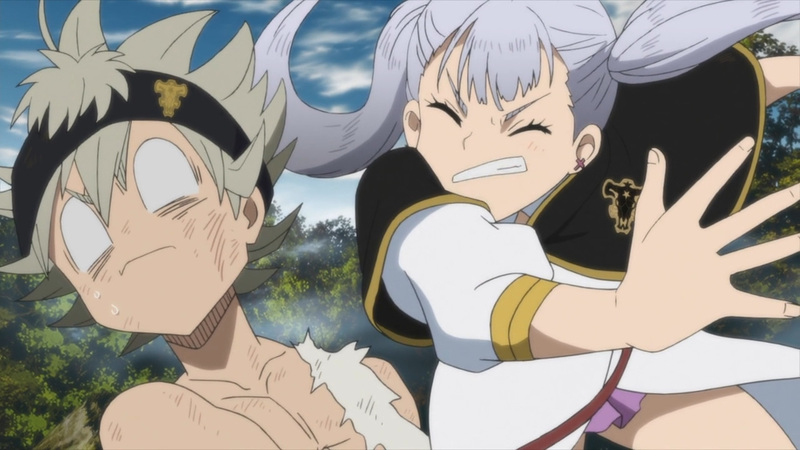 Taking Fana hostage gave him everything he needed. 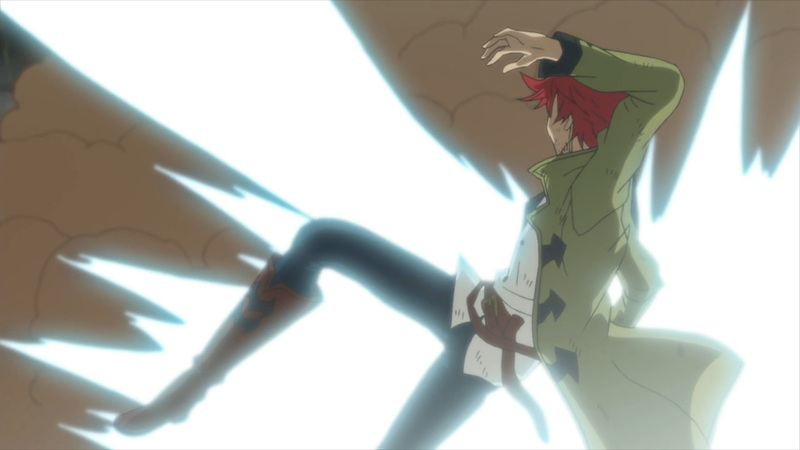 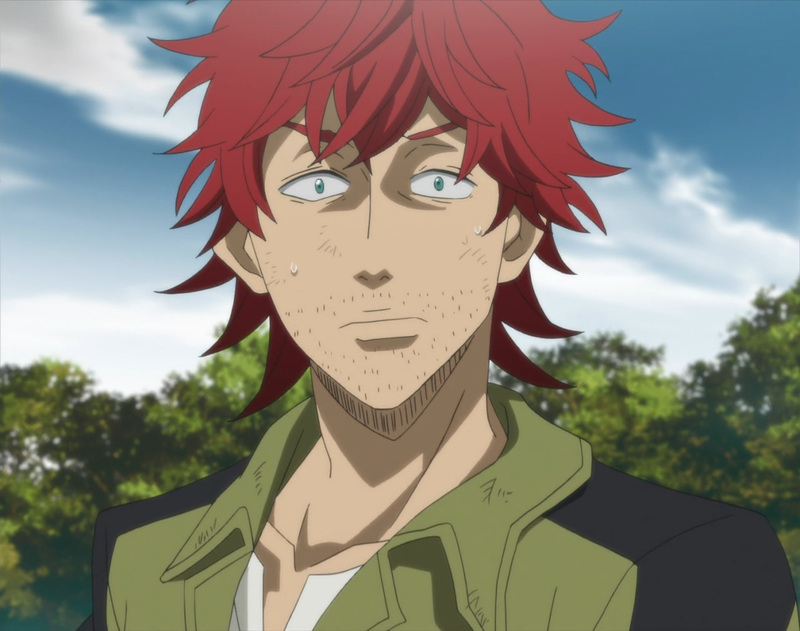 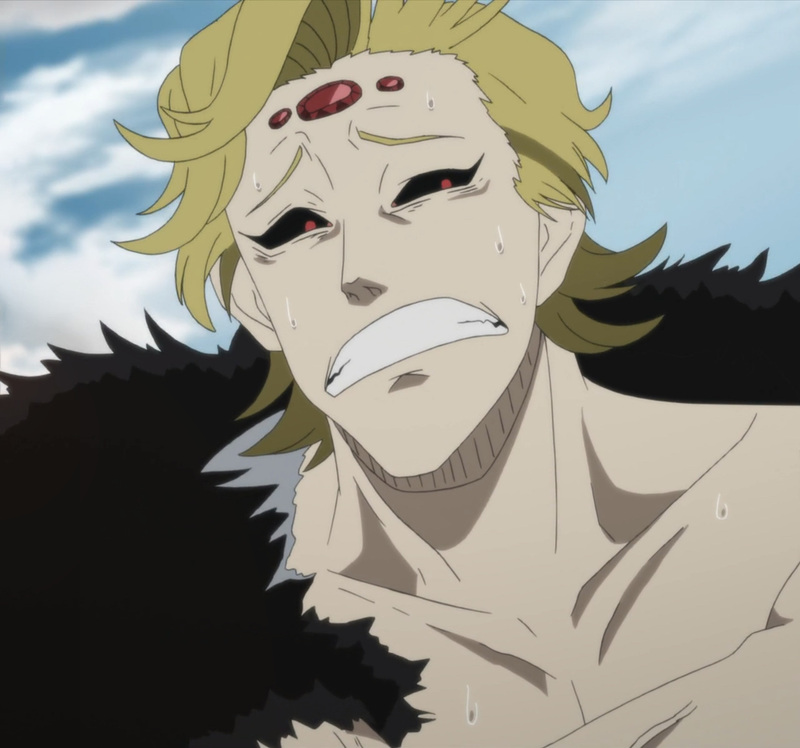 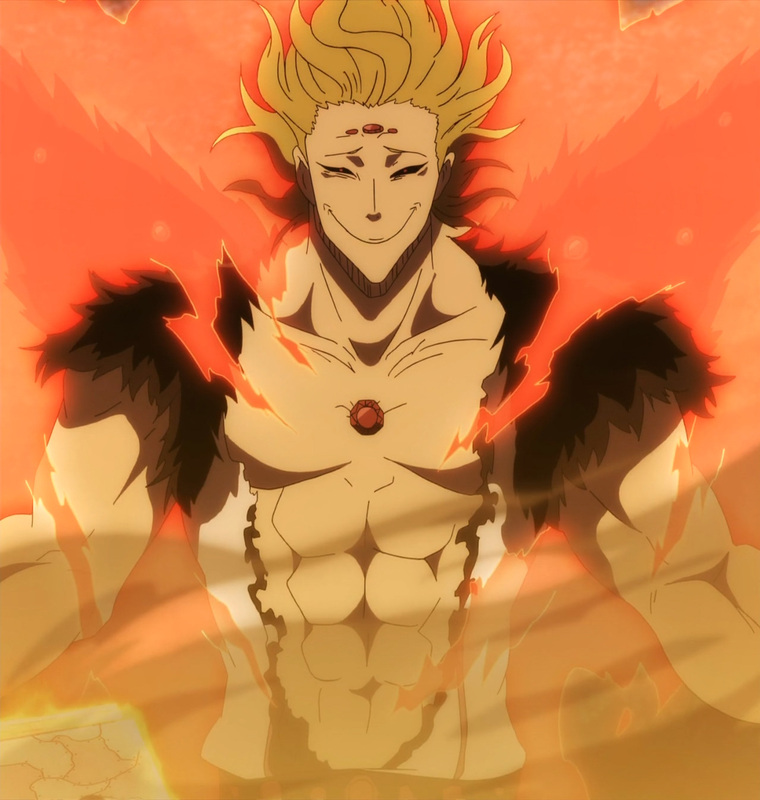 Salamander’s spirit magic has made him stronger than ever. 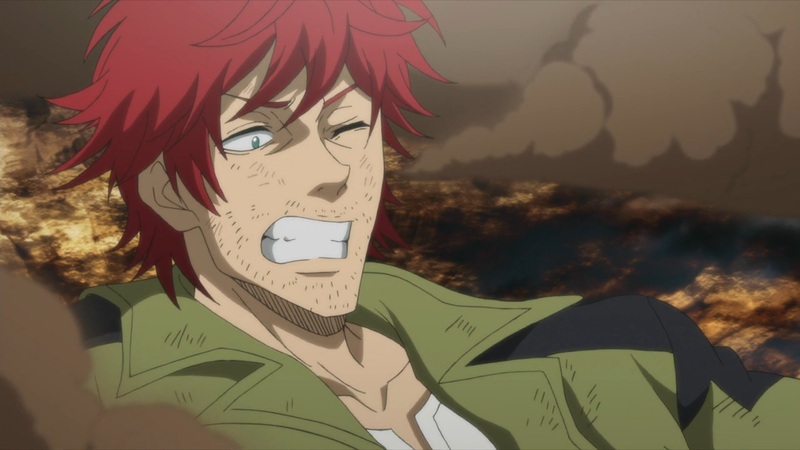 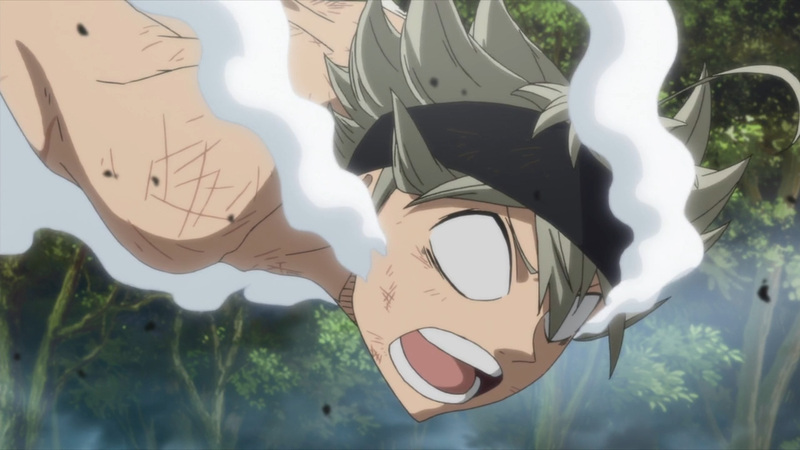 Not even Asta can keep up with his blazing speeds. 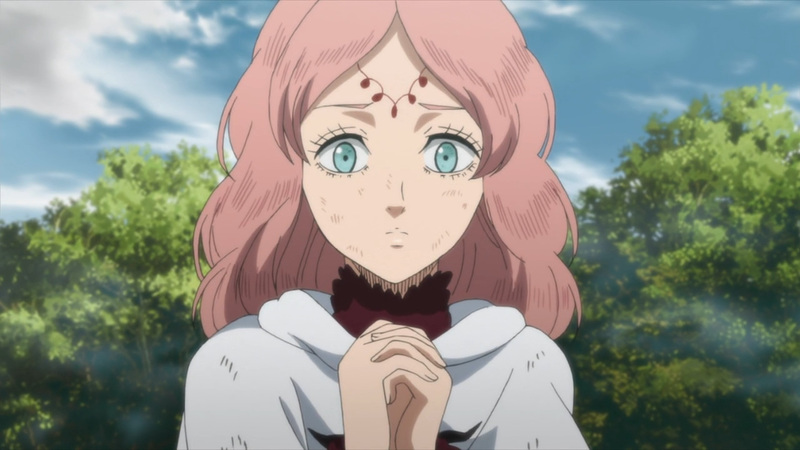 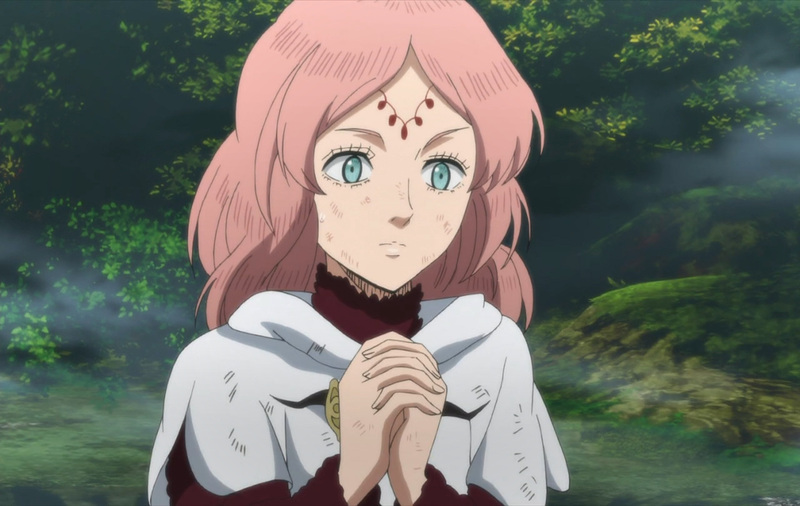 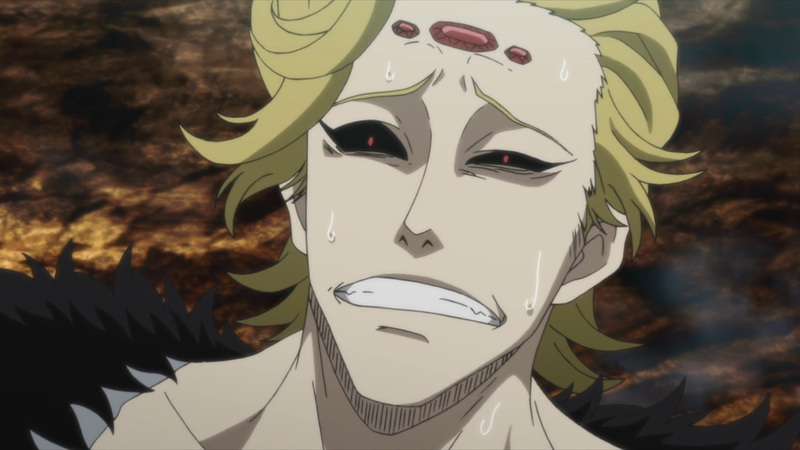 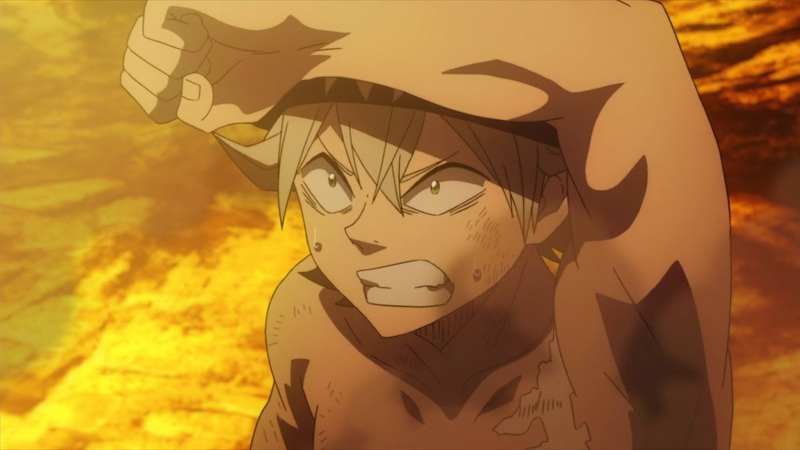 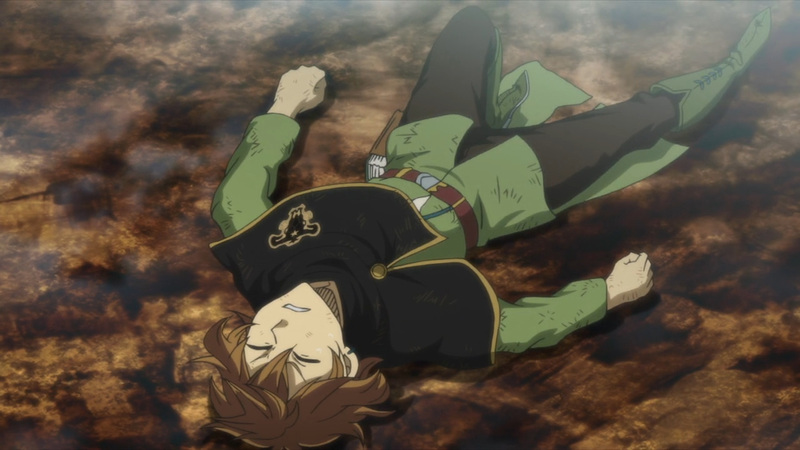 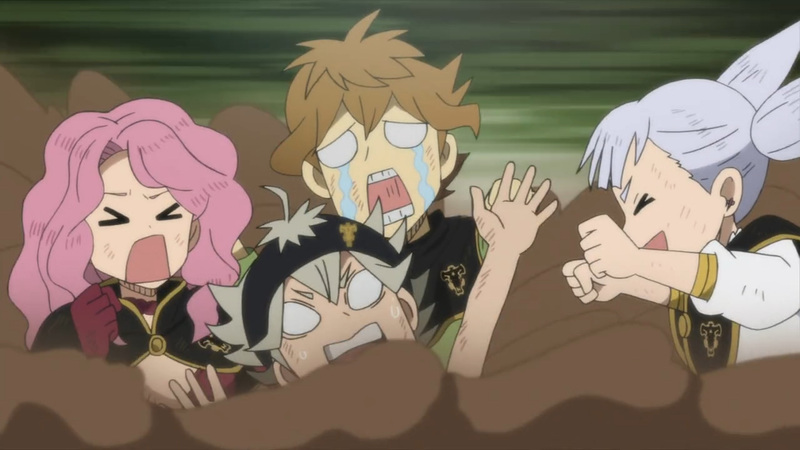 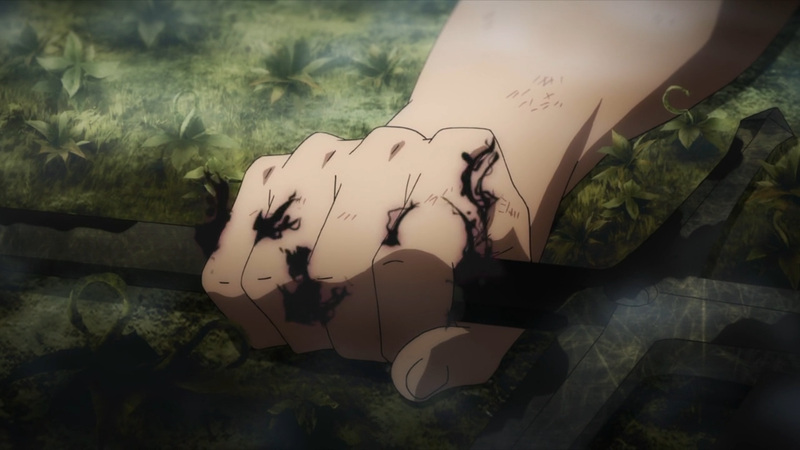 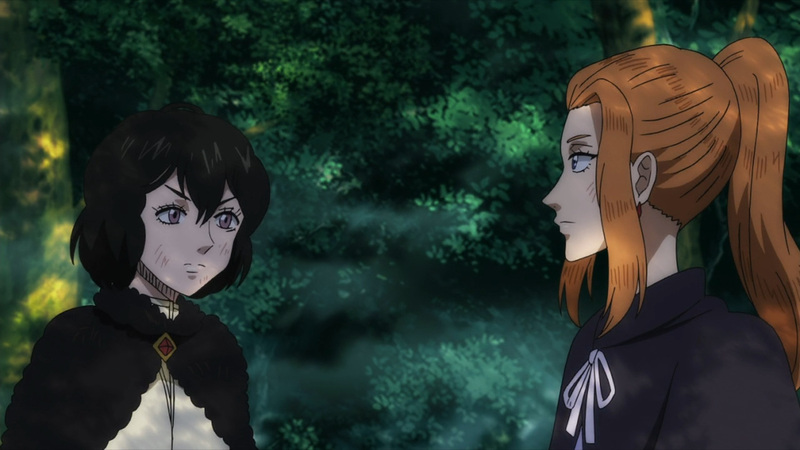 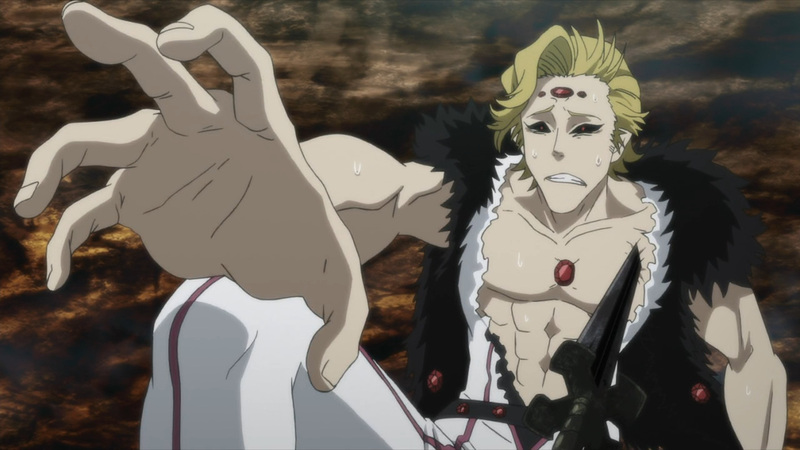 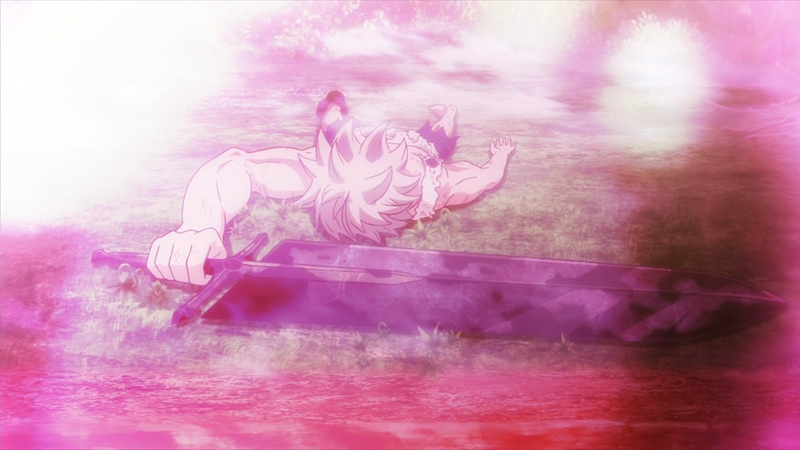 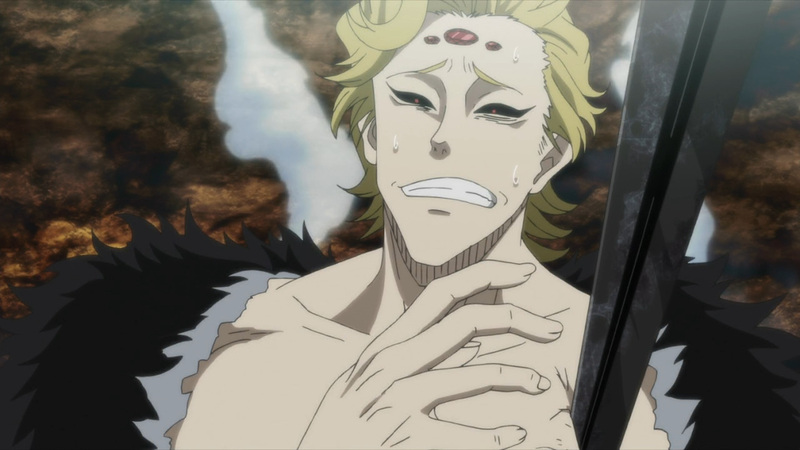 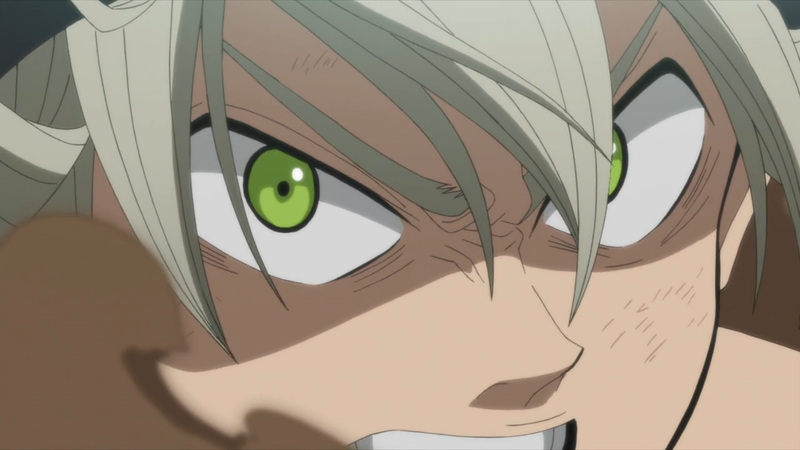 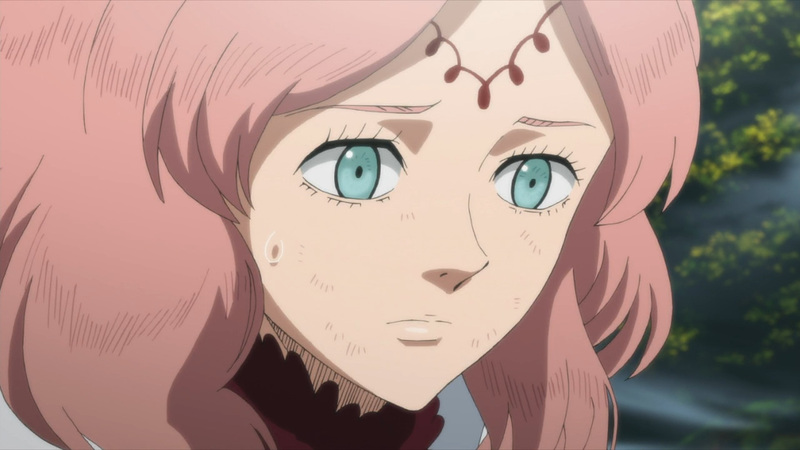 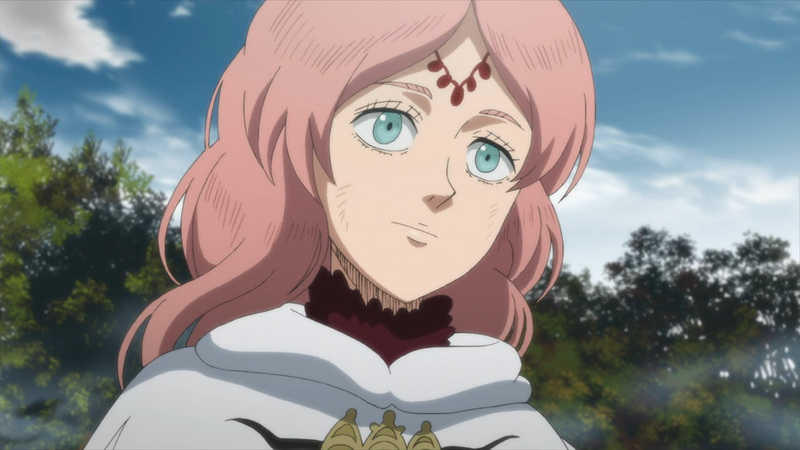 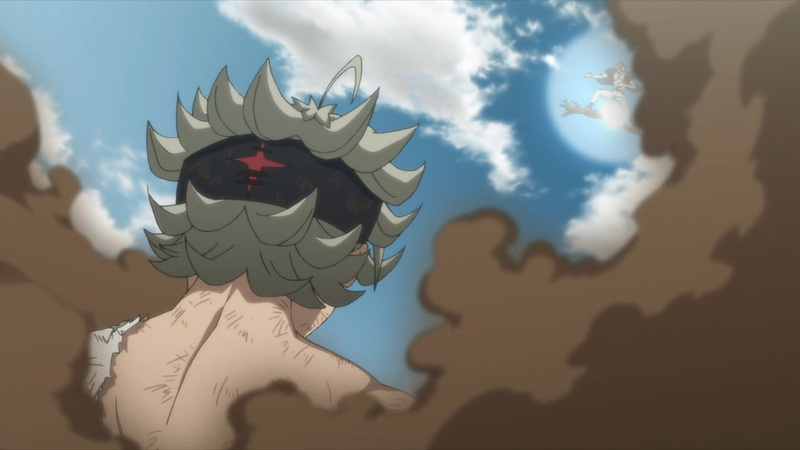 Still, this won’t be the end for Asta. 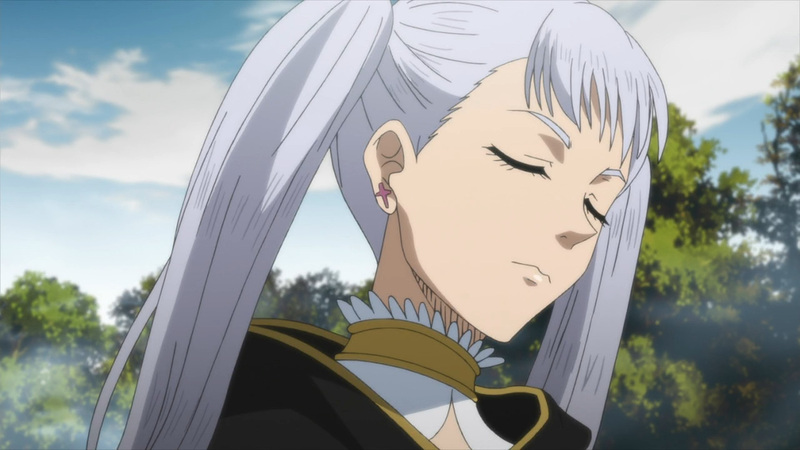 The Queen of the Witches will assure that her reign is long. 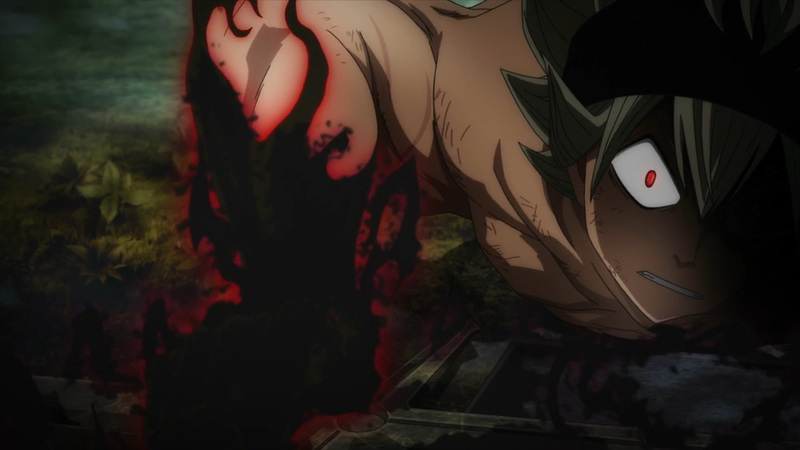 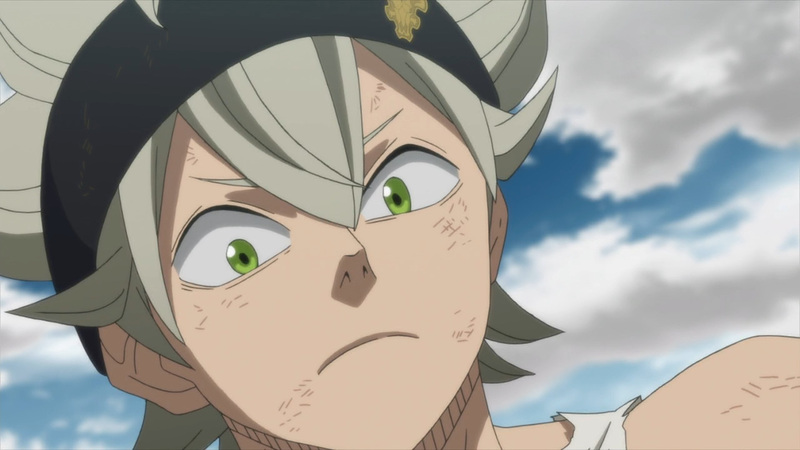 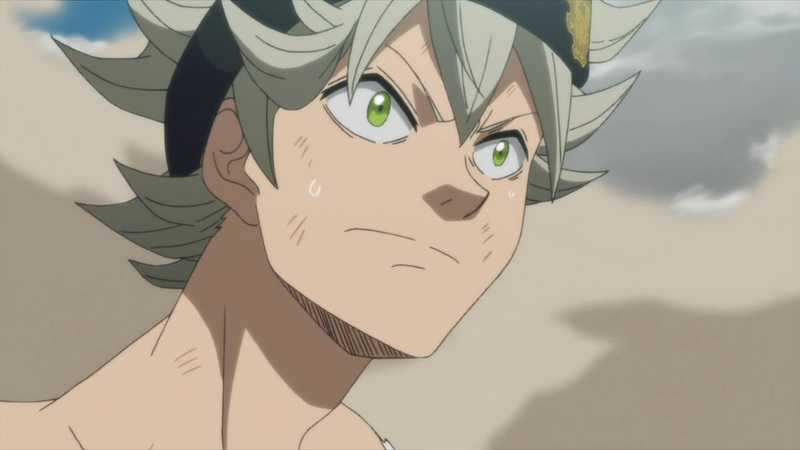 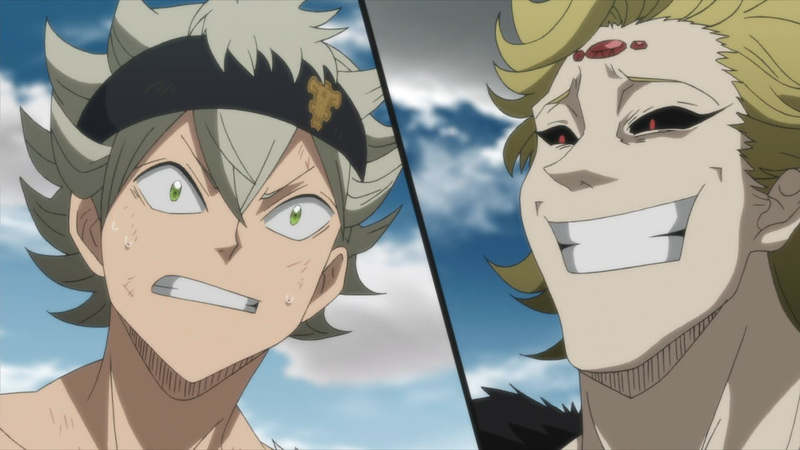 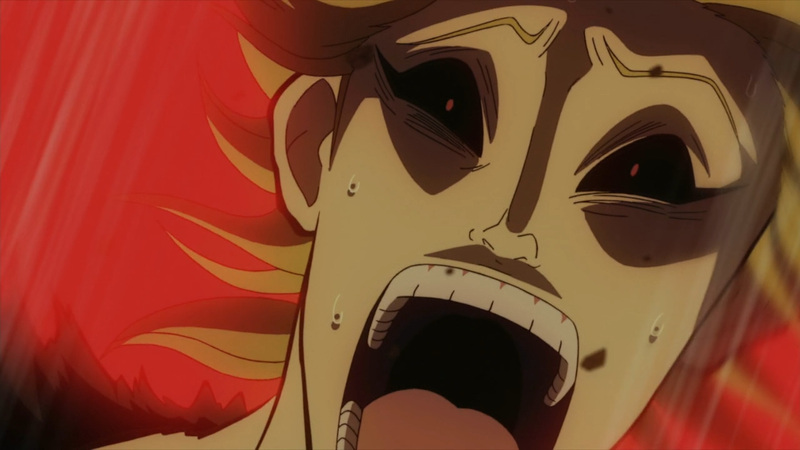 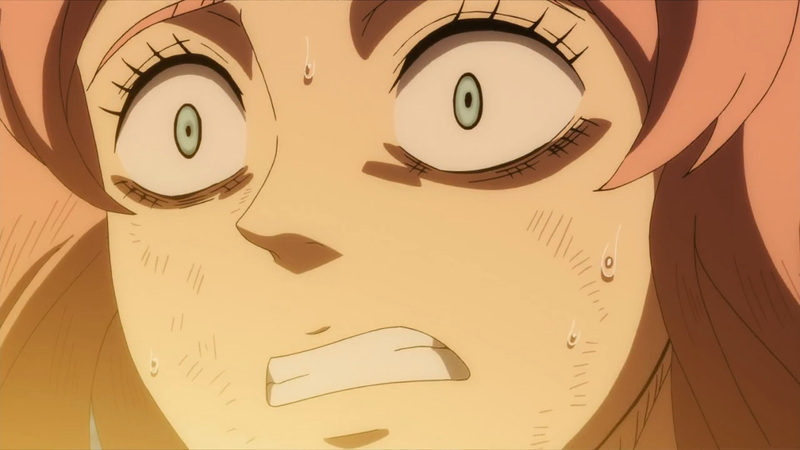 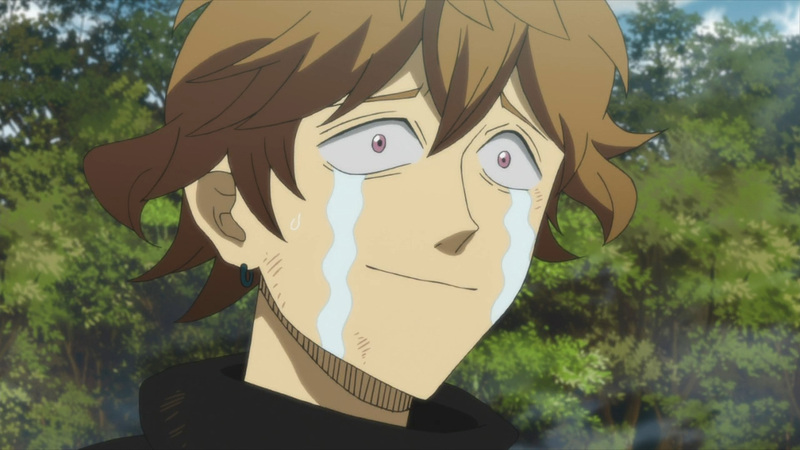 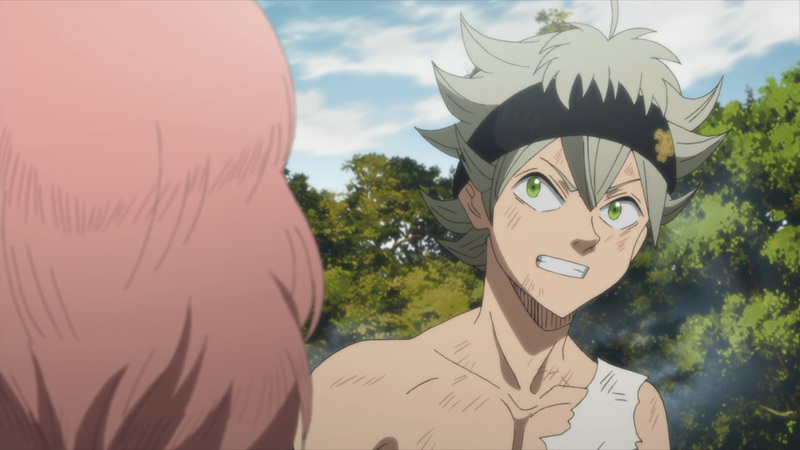 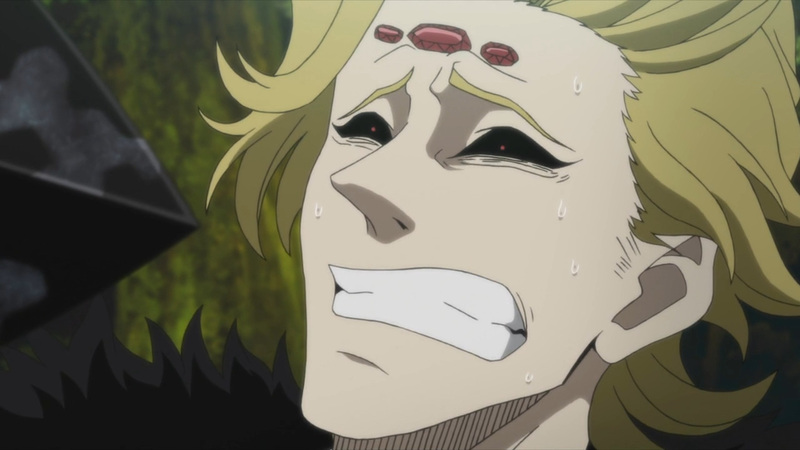 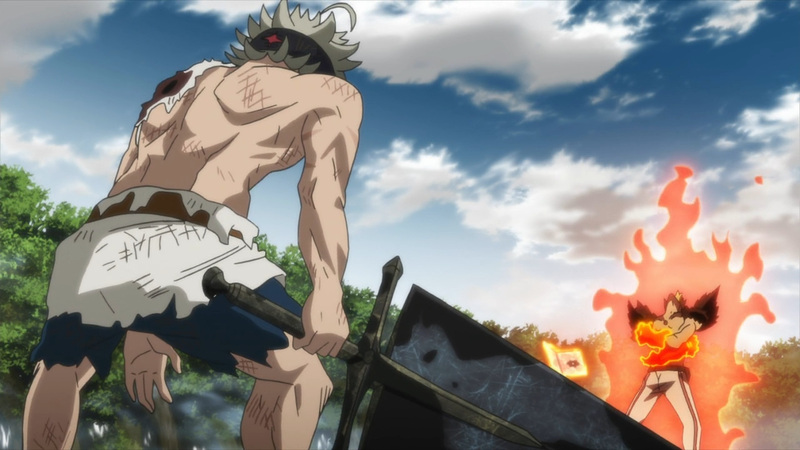 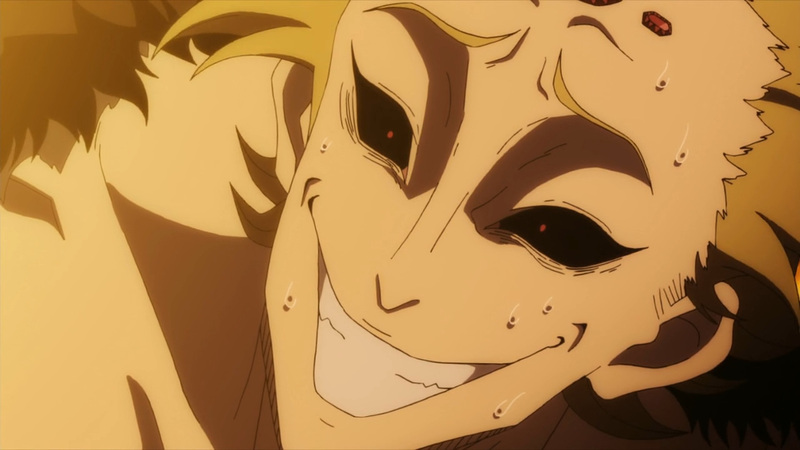 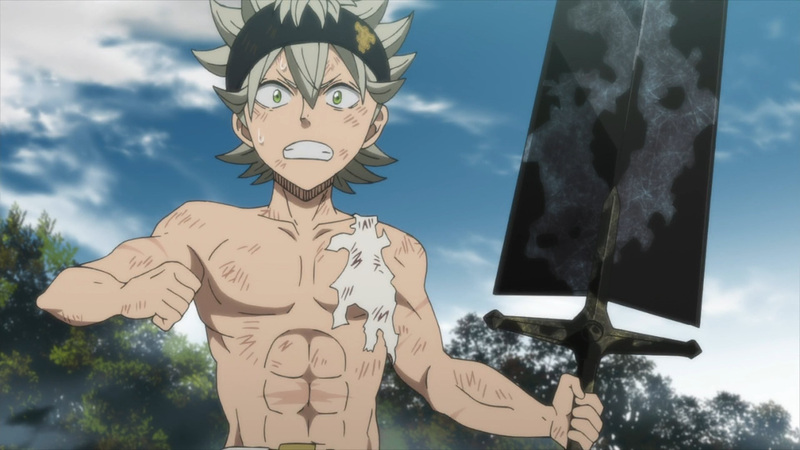 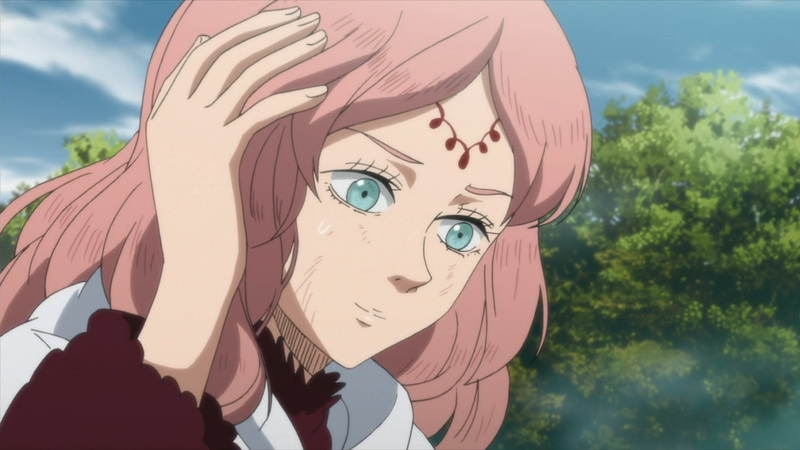 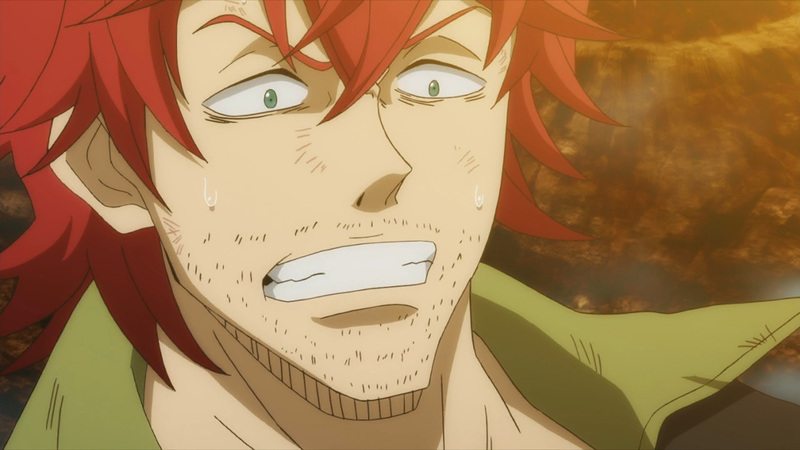 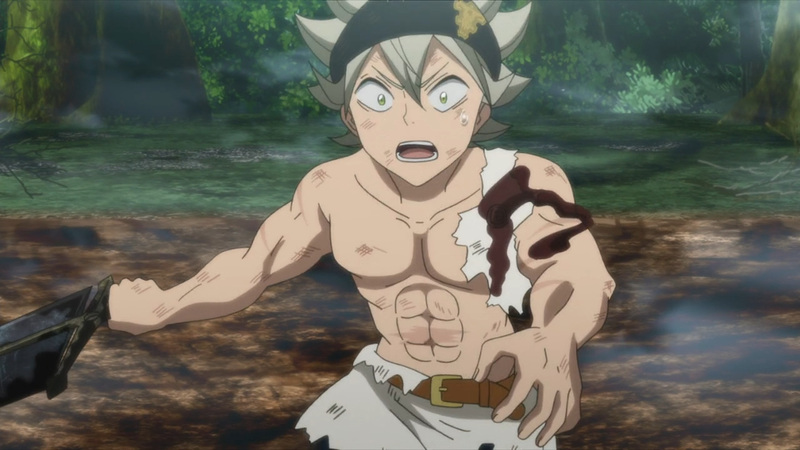 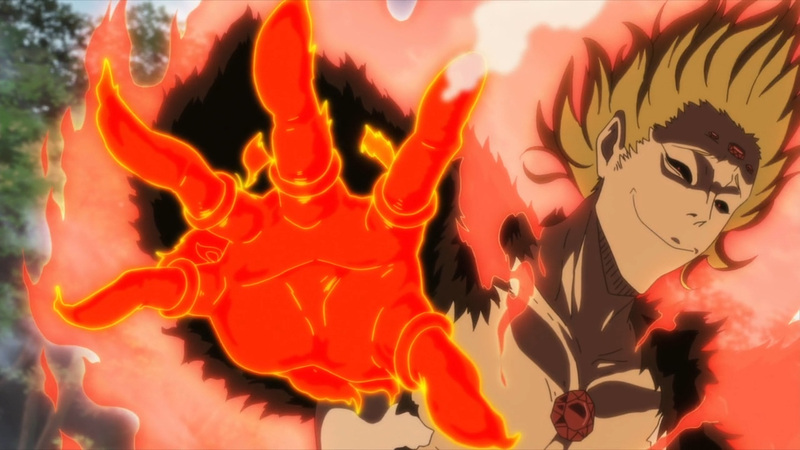 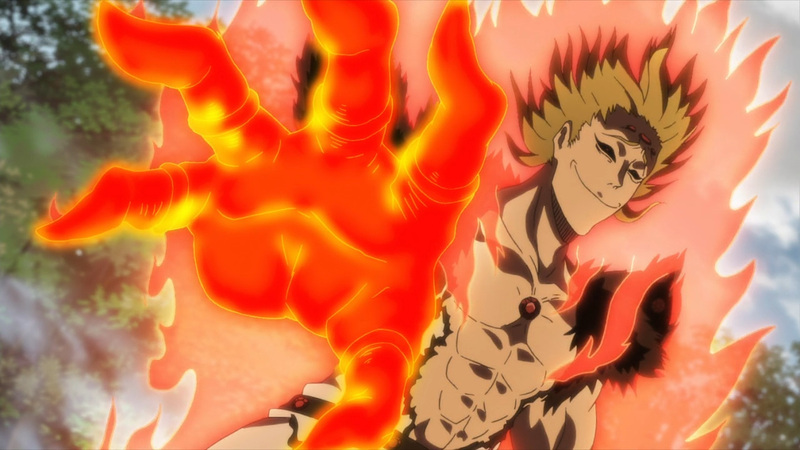 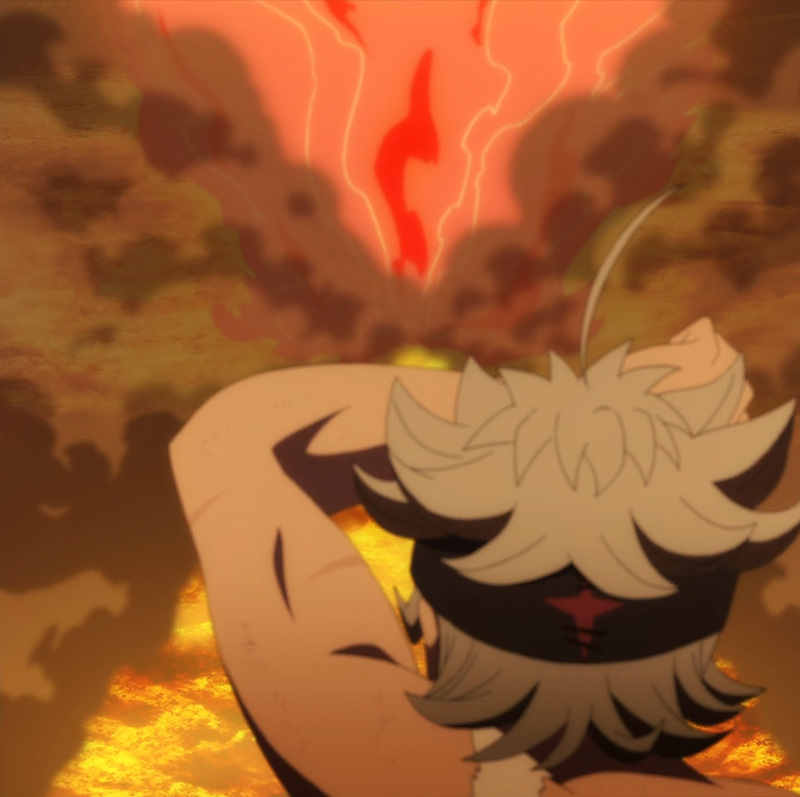 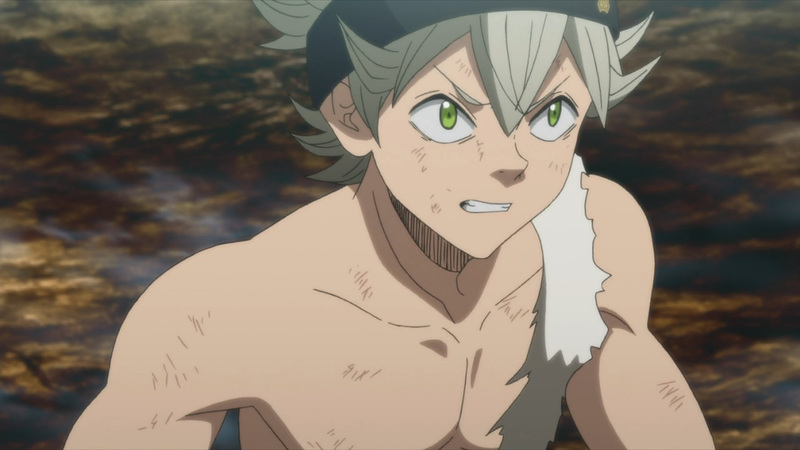 The hype for Asta’s ultimate move is coming up, yet we’ll have to wait one more week to see it. 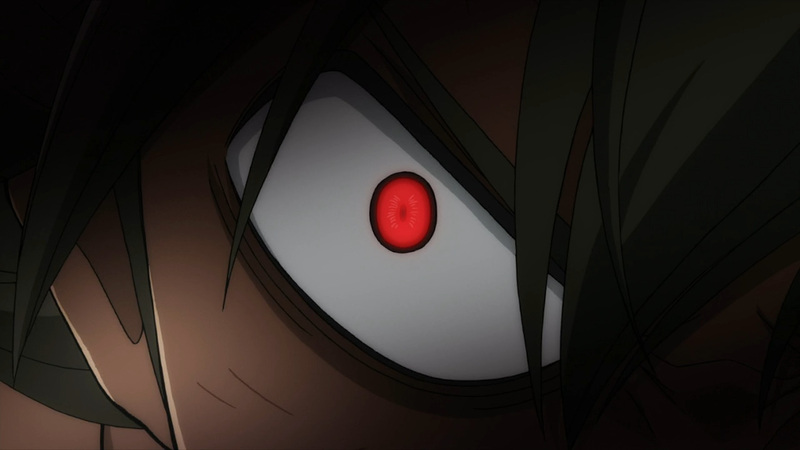 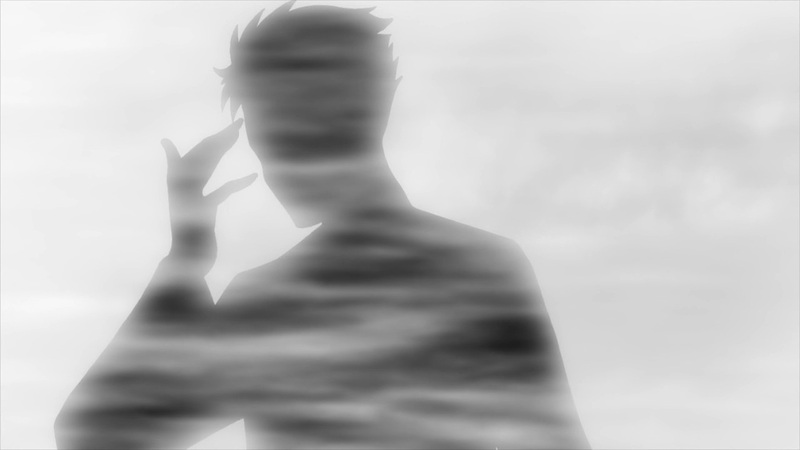 Nevertheless, today’s episode revealed some more information on the Eye of the Midnight Sun. 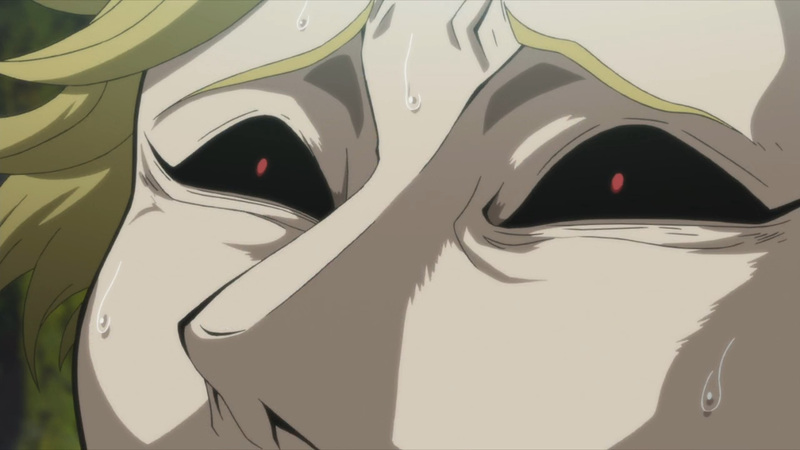 Mars did not finish off Fana all those years ago. 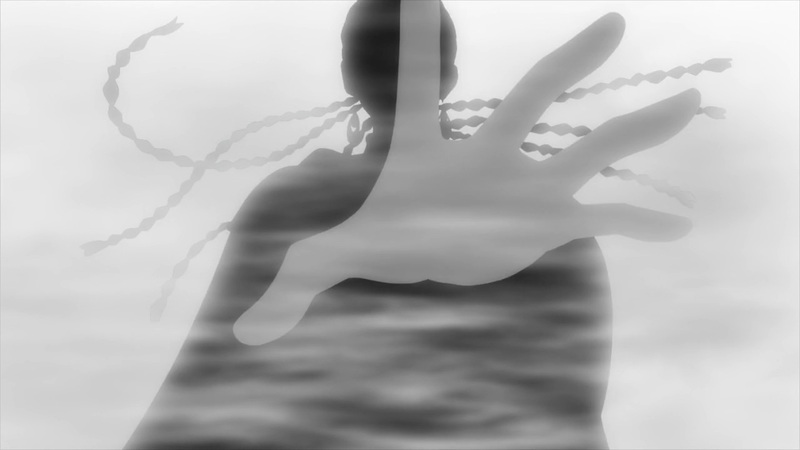 She clung onto life, but only to be used by another. 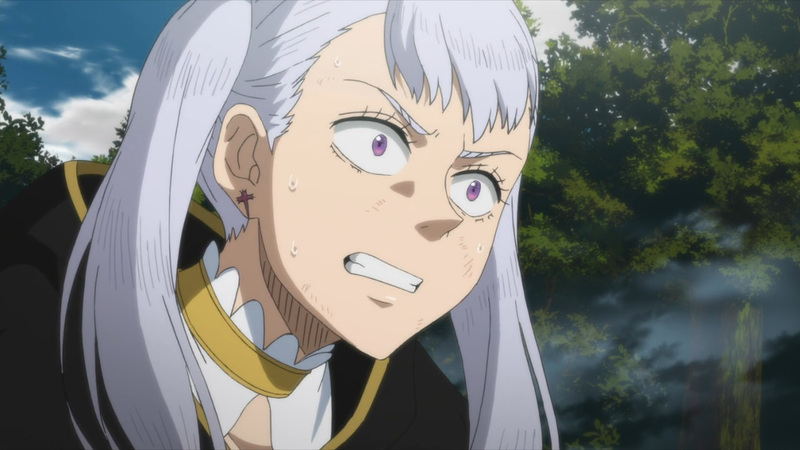 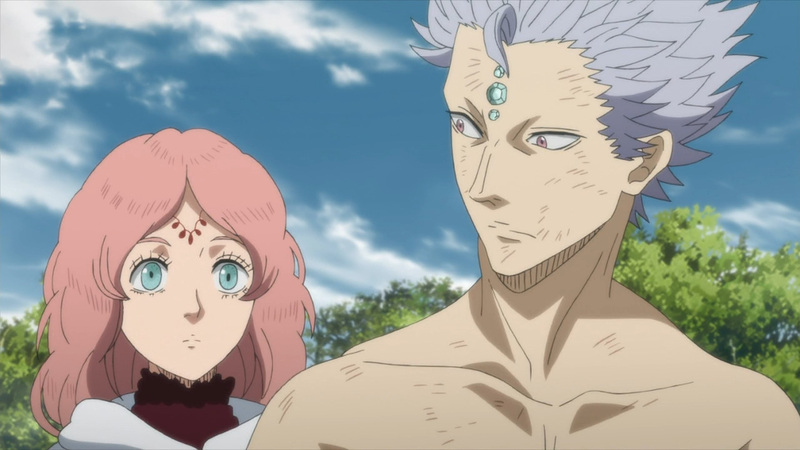 Licht appeared not for Fana’s sake, but for the usage of her body. 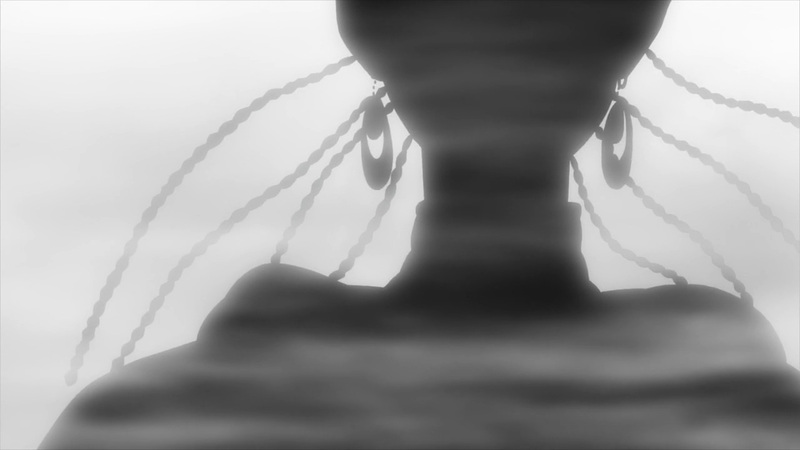 Her body would become the host for another soul. 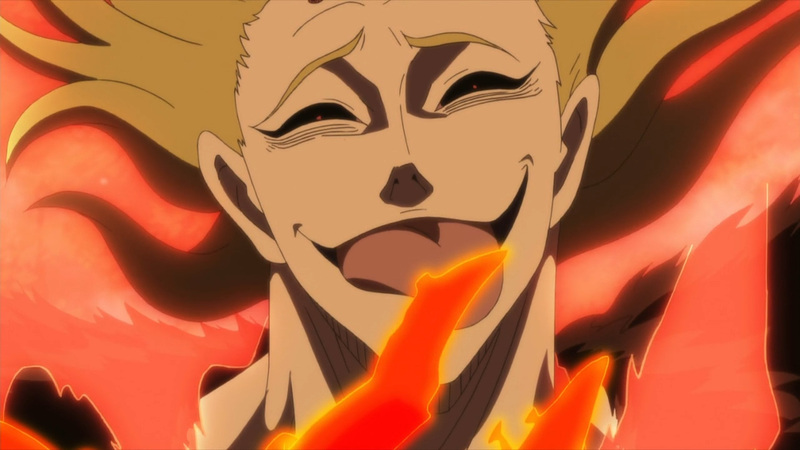 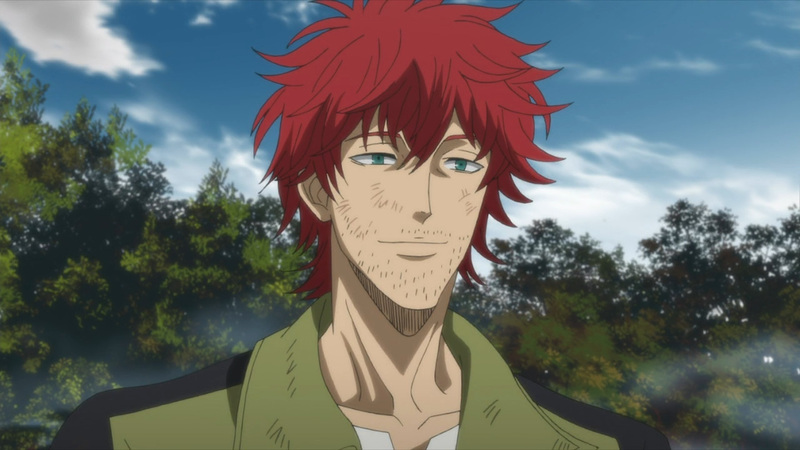 A soul that harbored a deep hatred for humanity. 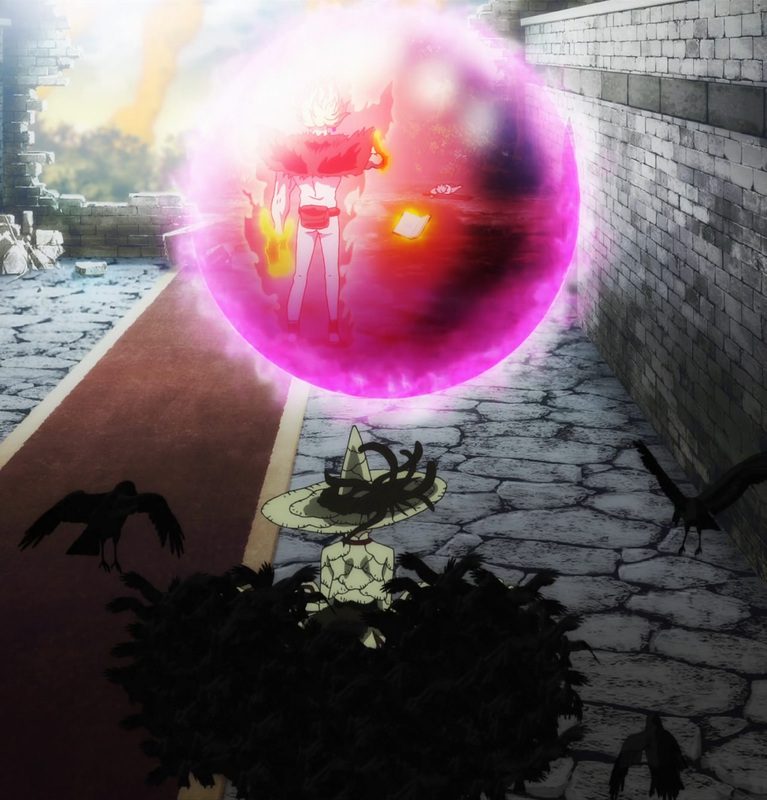 Moreover, her goal was to seek out the magic stones, although she can not recall the purpose behind them. 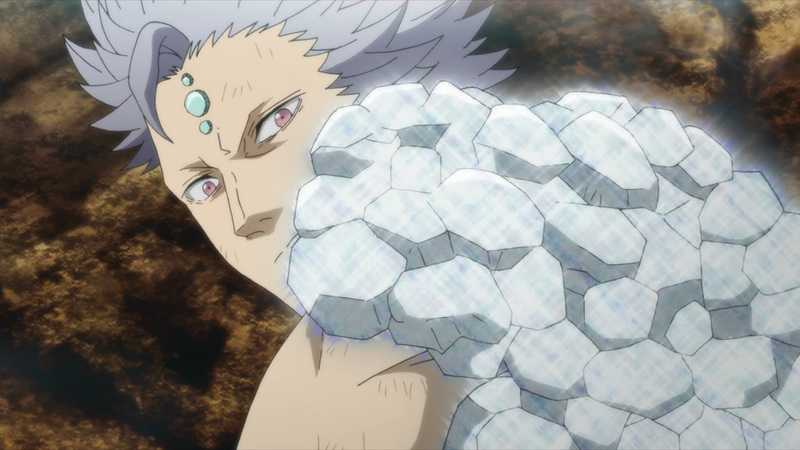 These stones hold a great importance to their organization, though. 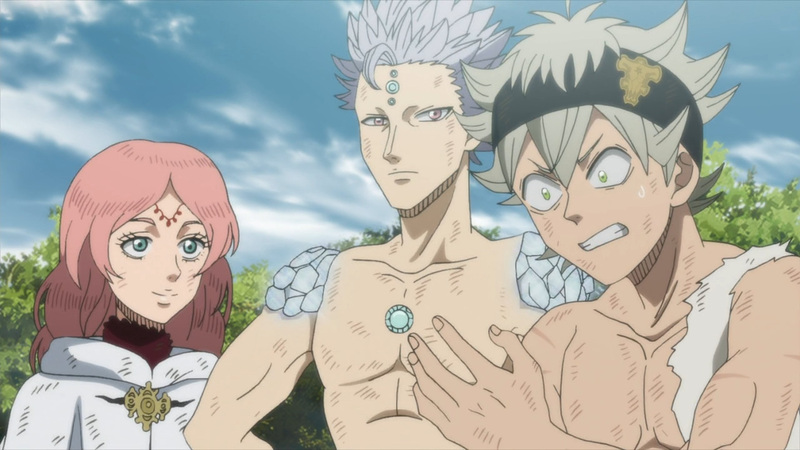 They wouldn’t be sending out their best else wise. 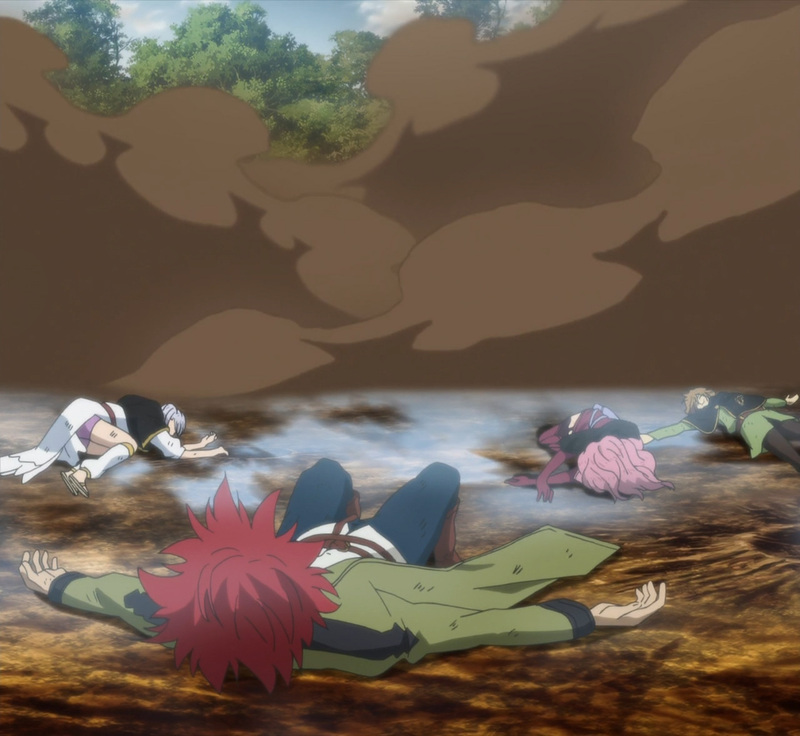 Anyhow, let’s put an end to the stalling. 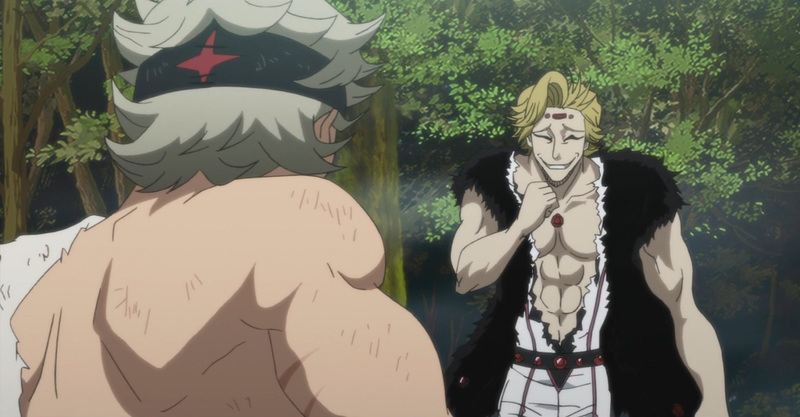 Enjoy the tease! 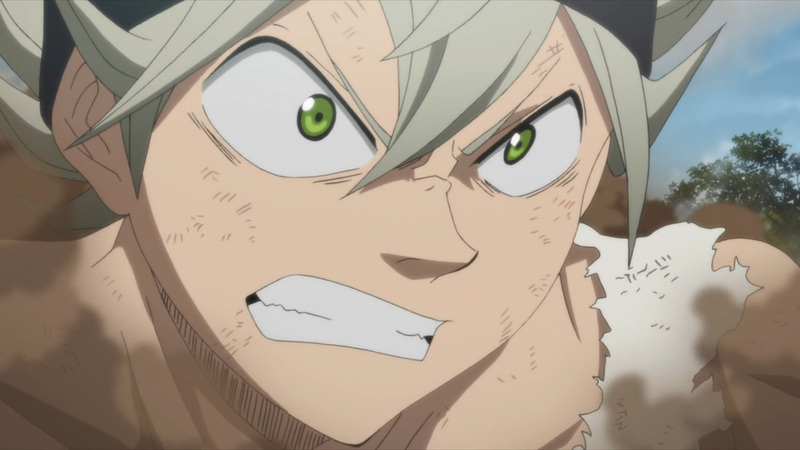 The climax of this arc is coming up! 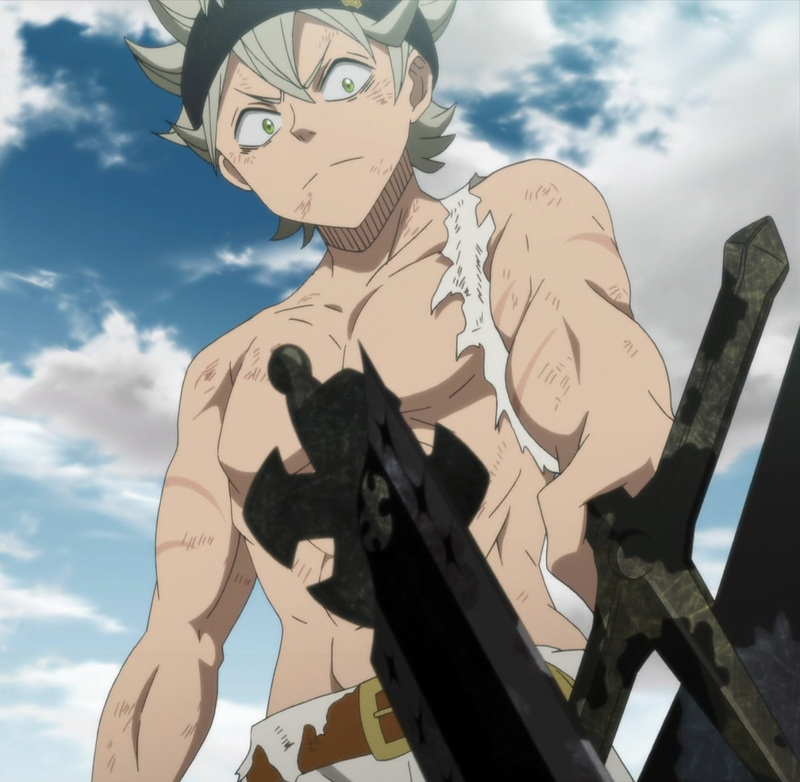 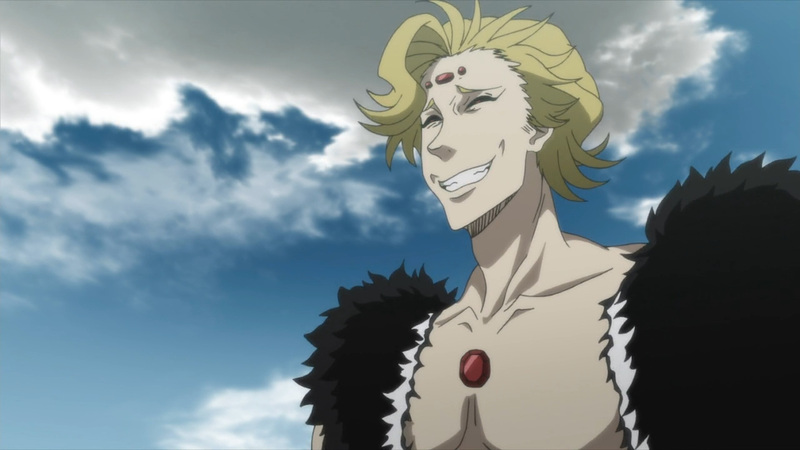 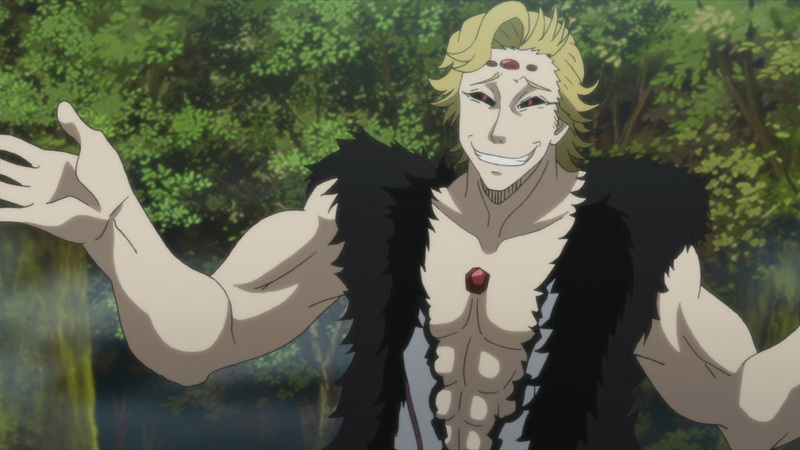 Be sure to join us next Tuesday to see Asta in his finest black.